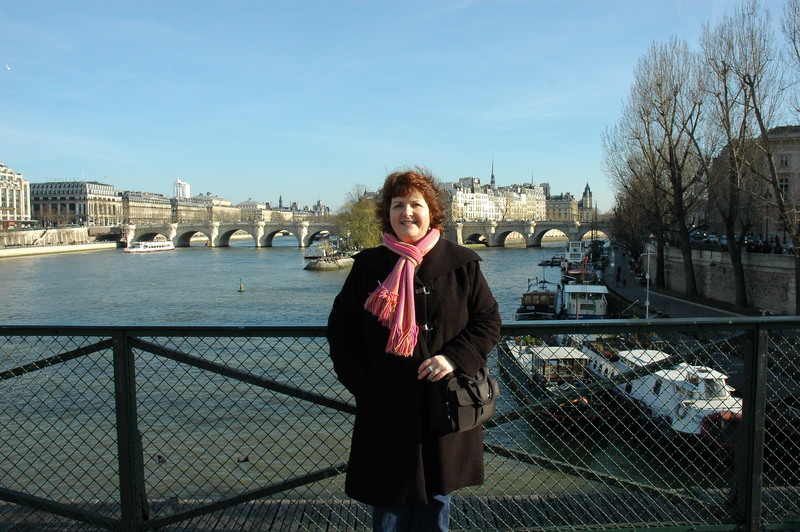 Before the Love Locks began appearing on the Pont des Arts, sometime in 2008, this was the gorgeous view Parisians and visitors alike could enjoy. 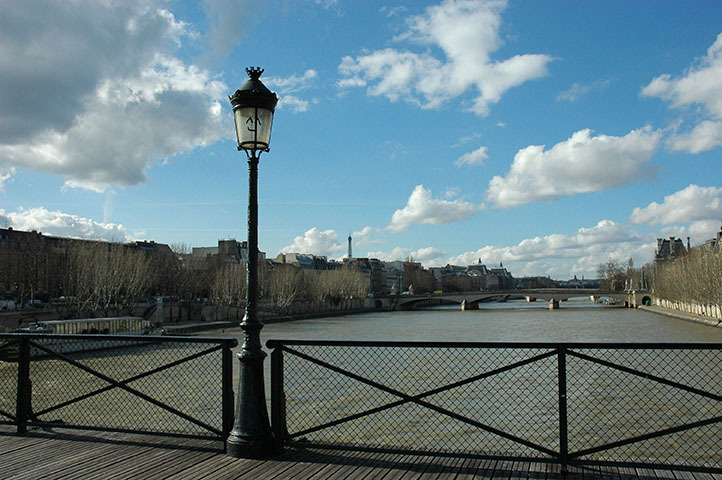 A pedestrian bridge, part of which dates back to Napoleon I, is constructed of a steel frame and wooden planks, designed so people could stroll and take in the expansive views in all directions, or sit on benches and enjoy being in the very heart of Paris. It was a calm and tranquil place to relax for couples, singles, family and friends. Today, this is no longer the case. 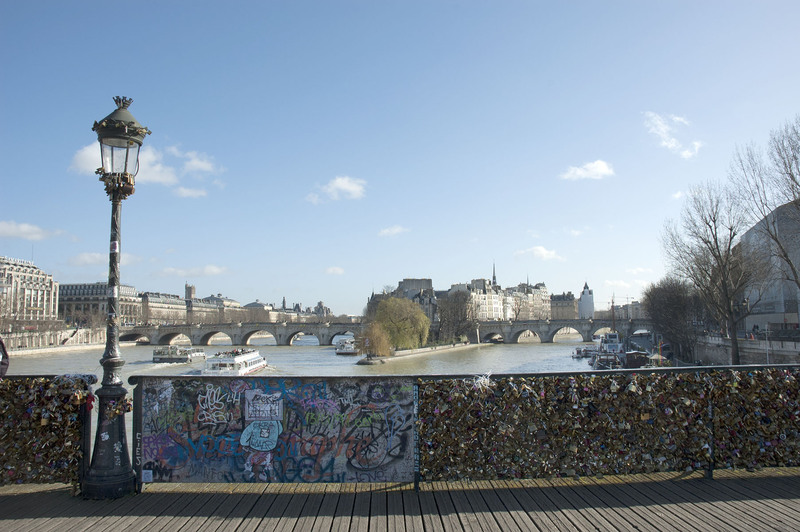 The Love Locks have not only destroyed the views, they are destroying the bridge itself. Their presence has promoted other acts of vandalism, like graffiti, and the discarded keys are polluting the river beneath. 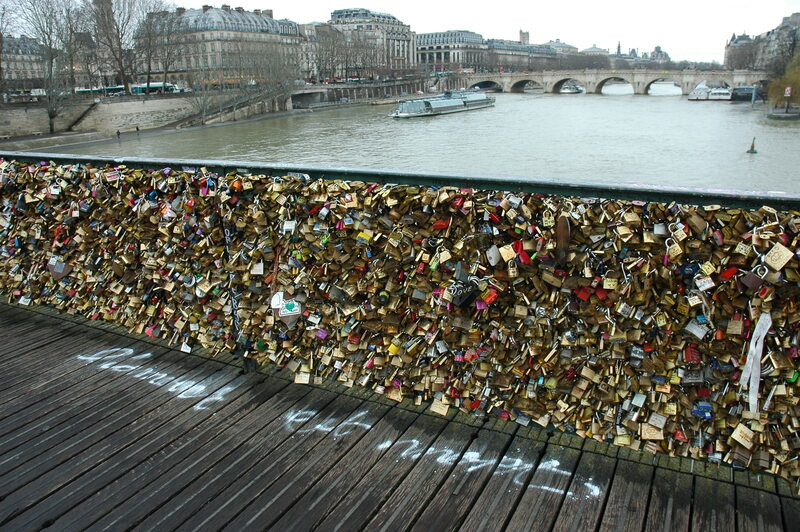 The locks trend has now spread from the Pont des Arts to four other bridges in Paris. 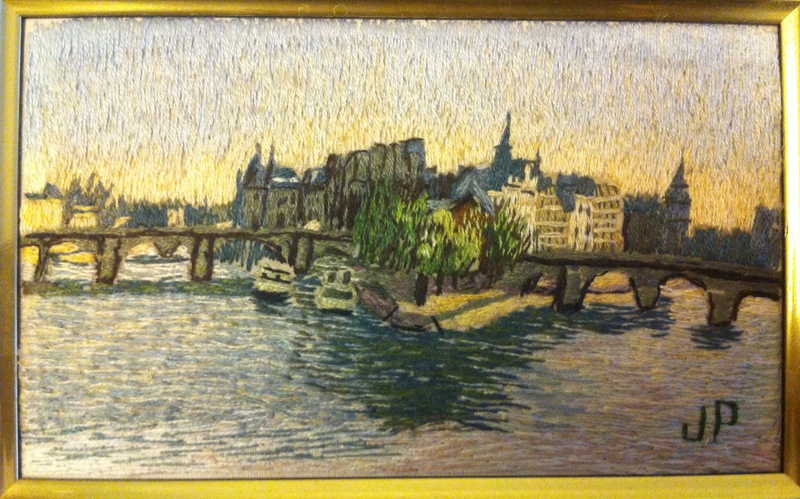 Unchecked, this trend could degrade all of Paris’s historic bridges. What’s love got to do with that? 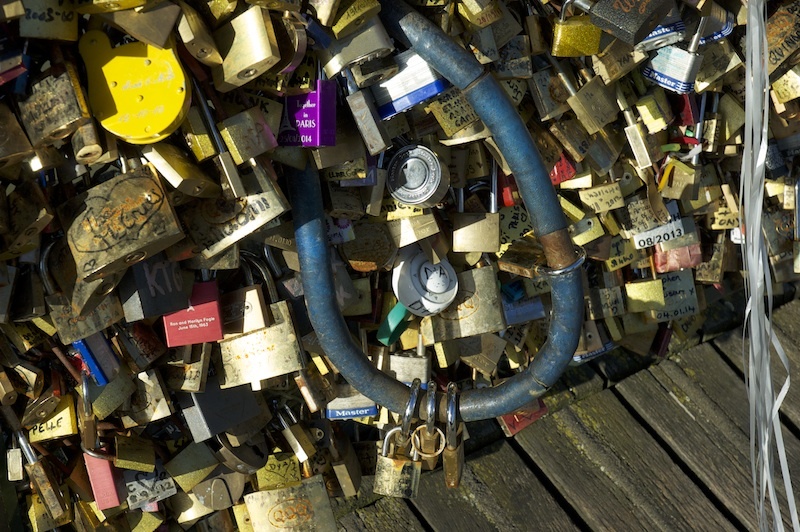 No Love Locks™ is a community effort to educate the public and shift opinion about the trend of attaching locks to public spaces as a romantic gesture. We’re not down on love, in fact, we love love—we just hate the locks. 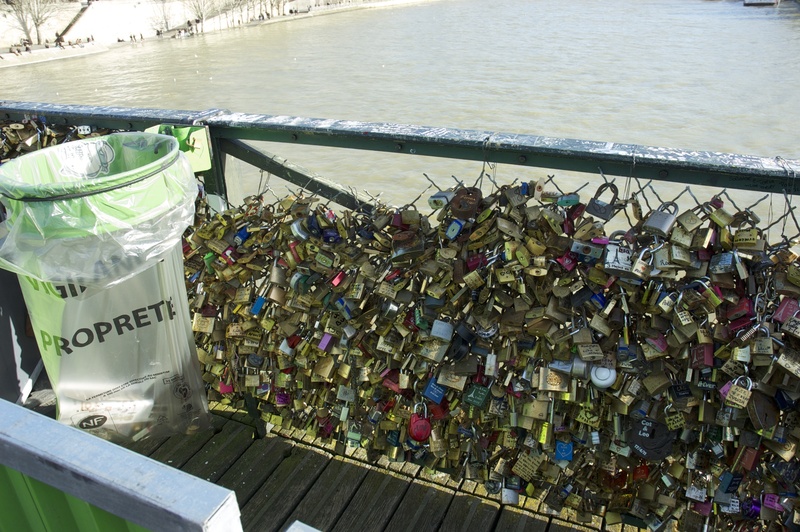 Join us on Facebook, and help us spread the word: a rusting lock isn’t romantic. Neither is a collapsing bridge. Ask yourself: if you love a place, and cherish the moment, is that lock really the best way to show it, now that you know what you know? A rusted bike lock. How is that romantic?